Ch. Coolaney Checkmate ("Turbin"). 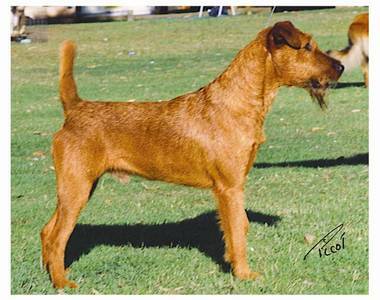 A lovely Irish we bred who was owned and shown by Neridah Sharrett of Anluan Kennels and has been influential in both Anluan and our breeding. We thank Neridah for making him such a special dog for us all.